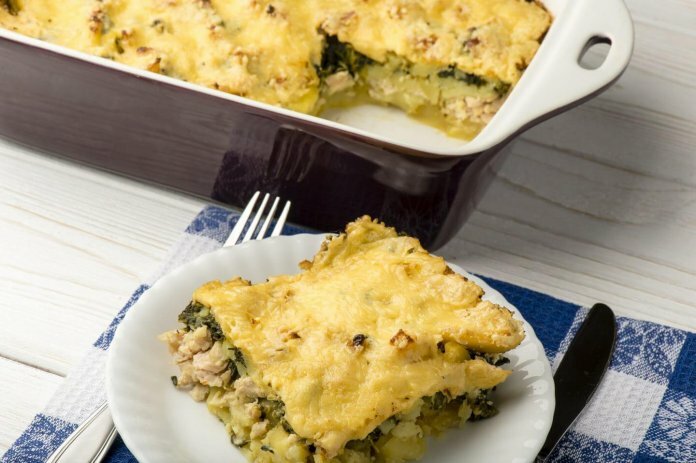 This comforting casserole is sometimes the only thing that will do the trick. 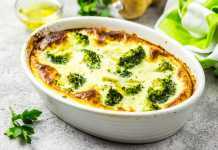 Chock full of cancer fighting veggies like broccoli and, of course, the spinach that features in the yummy Florentine style cheese sauce, it soothes and satisfies when cancer treatment may have got you down. And it’s tasty enough to please the whole family.Go for it. 1. Preheat oven to 375 degrees. Spray a 9×13-inch casserole pan with cooking spray. 2. Bring a large pot of water to a boil. Add whole wheat egg noodles and cook according to package instructions. Drain pasta. 3. Heat a large sauté pan over medium heat and add olive oil. Add onion and sauté for about 15 minutes, or until soft. Season with salt. Add broccoli and spinach and cook for about 5 minutes. 4. In a small bowl, add cornstarch and ¼ cup water, stir to combine. Add milk and cornstarch slurry to the pan. Stir until combined. Bring to a simmer and remove from heat. 5. Place a third of the vegetable sauce in the bottom of casserole pan. Layer half of noodles, half of the chicken, and 1/2 cup of cheese. Add another layer of vegetable sauce and remaining noodles, chicken, and cheese. Top with remaining sauce, making sure it covers all noodles. Sprinkle with breadcrumbs. 6. 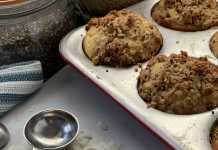 Place casserole in oven and bake for about 20 minutes, or until breadcrumbs are golden brown and filling is bubbling.